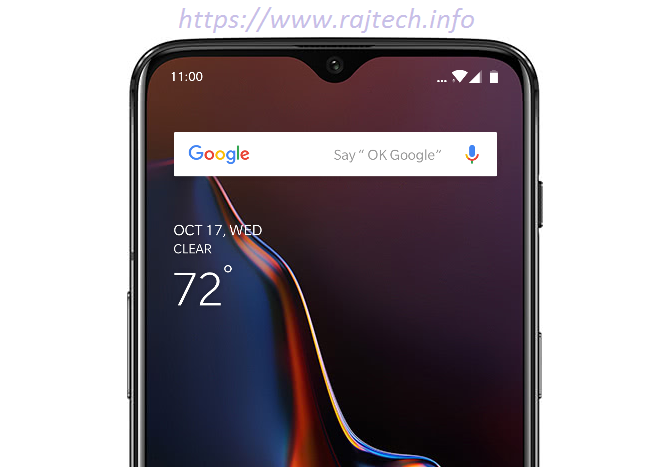 Home / featured / One Plus / OnePlus 6T / Specification / Powerful Smartphone OnePlus 6T by OnePlus \ OnePlus 6T Full Specifications & Features &Price. 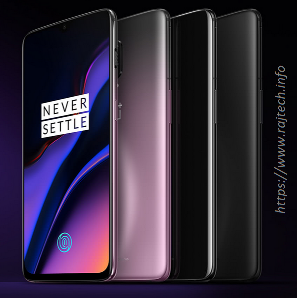 Powerful Smartphone OnePlus 6T by OnePlus \ OnePlus 6T Full Specifications & Features &Price. OnePlus 6T one of the best Notch display smartphone by OnePlus. OnePlus 6T was launched in October 2018. The OnePlus comes with a 6.41 inches V-Type Notch, Optic AMOLED capacitive touchscreen display. Display resolution is 1080 x 2340 pixels, with 19.5:9 ratio. The display is protected with Corning Gorilla Glass 6. This Smartphone powered by Qualcomm SDM845 Snapdragon 845 (10nm), Octa-core processor. Clock speed is 4x2.8 GHz Kryo 385 Gold. OnePlus 6T has no external memory card slot. This OnePlus comes 8 GB RAM with 256 GB internal storage & 6 GB/ 8GB RAM with 128 GB internal storage capacity. The camera of this OnePlus, dual camera at the rear, 16 MP, f/1.7, 25mm wide, 1/2.6", OIS, PDAF, & other one 20 MP, f/1.7, 25mm wide, 1/2.8", PDAF. Main features of this rear camera- Dual-LED flash, HDR, Panorama. It takes Video at 2160p@30/60fps, 1080p@30/60/240fps, 720p@480fps, Auto HDR, gyro-EIS. For the front camera for a selfie is 16 MP, f/2.0, 25mm wide, Auto HDR, gyro-EIS, 1080p@30fps. OnePlus is a Shenzhen based Chines smartphone manufacturer company. OnePlus founded in December. The company unveiled there the first device the "OnePlus One" on 23rd April 2014. The first smartphone by the OnePlus release in India exclusively through Amazon in December 2014. Initially OnePlus sold its smartphone-only through an invite system, where customers sent an invite to purchase smartphone then they had to make the purchase within a fixed time frame. OnePlus 6T Full Specifications & Features &Price. - Dual SIM, Nano-SIM, dual standby. - 6.41 inches AMOLED capacitive touchscreen, 16M Colors. - 1080 x 2340 pixels resolution, 19.5:9 ratio, 402 PPI density. - Qualcomm SDM845 Snapdragon 845 (10nm) chipset. - External storage is not supported. - Internal Storage 256 GB for 8 GB RAM & 128 GB for 6/8 GB RAM. - Dual Main Camera - 16 MP, f/1.7, 25mm wide, 1/2.6",OIS, PDAF. & other one 20 MP (16 MP effective), f/1.7, 25mm wide, PDAF. - Video- 2160p@30/60fps, 1080p@30/60/240fps, 720p@480fps, Auto HDR, gyro-EIS. - Fingerprint sensor (under dispaly), Accelerometer, Proximity, Compass, Gyro. - USB- 2.0 Type-C 1.0 reversible connector, USB On-The-Go. - Sound- 3.5mm jack, Active noise cancellation with dedicated mic, Dirac HD sound. Disclaimer- We cannot guarantee that the information on this page is 100% correct. Read More.